Our elected executive team is 100% fueled by volunteer chapter members. Our experience varies from airline pilots, to medevac pilots to student pilots. 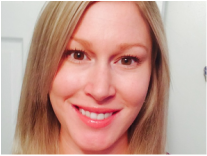 Kristin Long (WAI #5866) is the founding President of Northern Spirit. She was inspired to form the chapter after attending the Women in Aviation International Conference in Memphis in 2000. 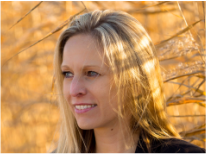 Kristin has a BSc from the University of British Columbia and an Aviation diploma from the University of the Fraser Valley. 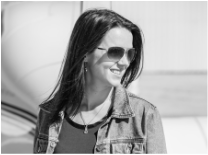 Kristin was the recipient of the Bombardier CL-65/CRJ-200 Type Rating scholarship from WAI in 2001 and the Boeing 737-300 Type Rating scholarship from ISA+21/ISWAP in 2003. 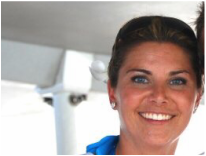 Kristin is a 737NG Captain for WestJet Airlines and was previously a pilot at Perimeter Airlines ​and a Flight Attendant for Air Canada. Tanya Cole (WAI #16911) was the recipient of the Spirit of Aviation Scholarship from Northern Spirit in 2005 and the Boeing 737NG type rating scholarship from ISA+21/ISWAP - WAI in 2015. Tanya earned her pilot licence through the Air Cadets program and was actively involved in the Cadets. Tanya is a Metroliner medevac Captain for Perimeter Aviation. Chantal Dienstbier (WAI #49217) has a diploma in Aviation Management from RRC and a BBA from the University of Winnipeg. She is a pilot on the Dash-8 for Perimeter Aviation and was previously a flight instructor at Harv's Air. Chantal loves to travel in her free time off work! Jenna Johannsen (WAI #56607) is the recipient of the Spirit of Aviation scholarship from Northern Spirit 2016. She is a student at the University of Winnipeg and is currently working on her commercial pilot licence. Stacie Bruneteau (WAI #28052) has been a member of the Northern Spirit Executive for nearly ten years. She is an A320 pilot for Air Canada and was previously a Saab pilot at Calm Air and pilot at Northway Aviation on several different aircraft.